If ever there were a mid-season CIF State Championship preview, this would be it. The 52nd Arcadia Invitational is absolutely loaded, from a who's who of CA's finest, to the country's biggest stars. According to the LA Times, a total of 730 schools from 31 states submitted entries to the meet. Athletes from Mexico, Canada and Norway are also expected to compete. 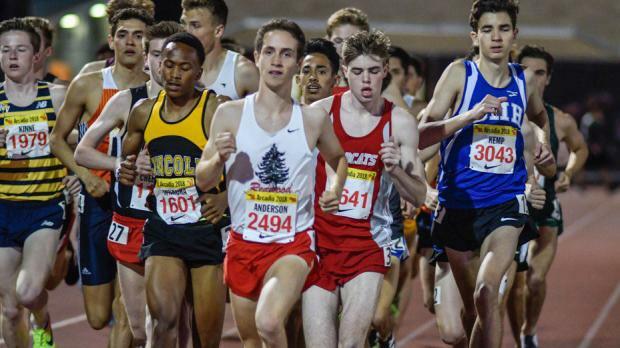 While the meet attracts talent from all over the country and beyond -- which we detail in the event-by-event breakdowns -- our focus here is to point out the top athletes in the best of the invitational races. Many of the California's elites find themselves relegated to seeded races. If that isn't incentive to put up a faster time than the "fast" heat, we don't know what is. The two-day event also includes a multis competition with 16 boys competing in a decathlon and 16 girls competing in a heptathlon. Multis events begin Friday at noon. The Friday relays competition begins at 4:15 with relay and distance events as well as some field events continuing until about 10 p.m.
Action resumes Saturday morning with the first of two sessions. Events begin at 9:30 a.m. and continue throughout the day. The invitational portion of Saturday's schedule begins with the girls discus throw at 4:45 and hits the track with Para-Ambulatory and Para-Wheelchair races at 5:20 p.m. and boys seeded 4x100 relay at 5:29 p.m.